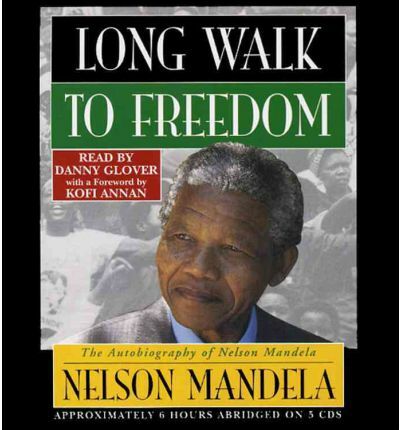 Read by Danny Glover, with an introduction by Kofi Annan. Nelson Mandela is one of the great moral and political leaders of our time: an international hero whose lifelong dedication to the fight against racial oppression in South Africa won him the Nobel Peace Prize and the presidency of his country. Since his triumphant release in 1990 from more than a quarter-century of imprisonment, Mandela has been at the center of the most compelling and inspiring political drama in the world. As president of the African National Congress and head of South Africa's antiapartheid movement, he was instrumental in moving the nation toward multiracial government and majority rule. He is revered everywhere as a vital force in the fight for human rights and racial equality. LONG WALK TO FREEDOM is his moving and exhilarating autobiography, destined to take its place among the finest memoirs of history's greatest figures. Here for the first time, Nelson Rolihlahla Mandela tells the extraordinary story of his life--an epic of struggle, setback, renewed hope, and ultimate triumph.